Did you know a staggering 44% of the U.S. population has listened to a podcast and an incredible 40 million people tune into podcasts for education, entertainment and inspiration every week? 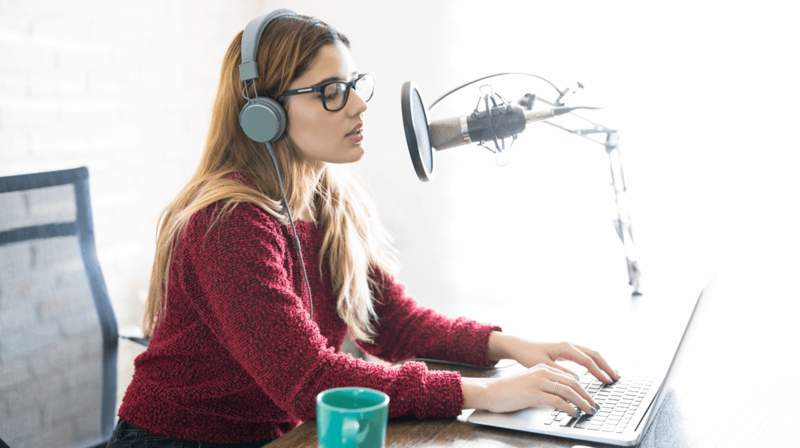 We cannot ignore the fact that podcasts are becoming an increasingly popular and prevalent way to be informed about the latest business and industry tips, trends and updates. In short, if you’re a business owner or entrepreneur and you’ve yet to jump on the podcast phenomenon, you could be seriously missing out on having easy access to this exciting information and communication medium. If you’re unsure which podcasts to listen to, take a look at the following best 15 business podcasts that U.S. listeners can get right now. Entrepreneurs on Fire is an award-winning podcast that was founded and presented by John Lee Dumas. The podcast features John interviewing inspiring entrepreneurs to help aspiring entrepreneurs achieve a seamless journey to business success. Rise and Grind is hosted by Shark Tank presenter Daymond John, one of the most prominent names in America’s business landscape today. Each podcast sees John interview leading business figures on issues related to productivity, power and performance. Enjoy listening to raw and unscripted conversations with the founders of profitable online business on the Indie Hackers podcast. Host Courtland Allen interviews successful online business founders to find out how they have successfully marketing and grown their online business. Marketing Over Coffee is an informative podcast which is recorded each week from a coffee shop by hosts Christopher Penn and John Wall. The podcast is designed to help small businesses with marketing, providing them with tips on the likes of social media, copywriting, SEO, affiliate marketing and more. The Business Wars podcast dissects and analyses stories behind brands and their leaders. It looks at the inspiration and challenges some of the world’s biggest brands have been up against, such as Nike, Netflix and Adidas. Insight into inspiring real-life business stories is presented by David Brown, former anchor of Marketplace. Mixery is a popular business podcast hosted by successful business owner and entrepreneur Andrew Warner. Each episode focuses on different aspects of running a business, from starting a venture to finding a sustainable, purpose-built business. Each episode features a successful and inspiring entrepreneur. Startups for the Rest of Us is an extremely useful business podcast that helps entrepreneurs, developers and designers improve the way the launch software products. This popular podcast is hosted by the experienced web app professional and author Rob Walling and programmer analyst Mike Taber. Hack the Entrepreneur is an entrepreneur podcast for anyone looking to develop their entrepreneurial mindset. Hosted by Jon Nastor, the podcast explores the struggles, fears and habits of small business owners to help entrepreneurs find success. Host Emil Shour helps B2B marketers generate more leads and revenue on the Demand Gen Chat podcast. Each episode records a candid interview with an expert in B2B marketing, exploring different topics like SEO, advertising and career growth. Inside LaunchStreet examines the whole picture involved in setting up, running and growing a business. Each episode sees an inspiring figure in the world of business and marketing provide insight on how to successful run a business. Listeners benefit from actionable takeaways at the end of each episode. Inside LaunchStreet is hosted by Tamara Ghandour, founder of the thriving online education and business community platform, GoToLaunchStreet.com. Claiming to be the “world’s most entertaining podcast”, the Marketing Companion is a useful tool for businesses wanting to improve their marketing capabilities. Hosted by the globally-recognized marketing author, consultant and blogger Mark Schaefer, alongside the pithy research and raconteur Tom Webster, the Marketing Companion provides fun, witty and unique insight into all aspects of marketing. Described as arguably the number one podcast in the world today, StartUp looks at what it is really like to start and launch a startup. The podcast features professionals within the business world. This popular business podcast is hosted by Alex Blumberg and Lisa Chow.